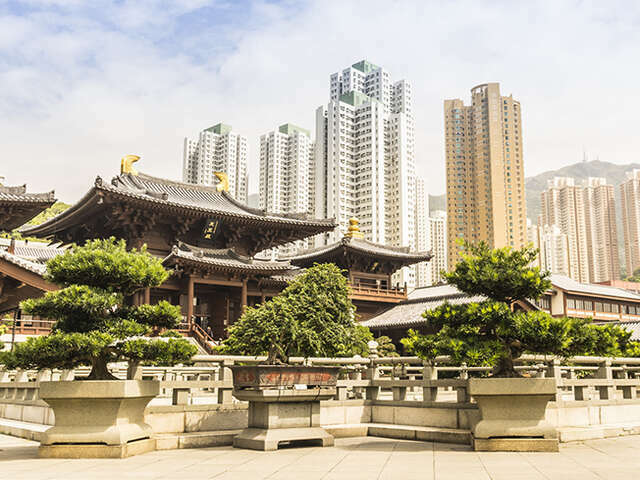 Hong Kong Insider's Guide: East Meets West | UNIGLOBE Direct Travel Ltd. Everywhere you step in Hong Kong, you’d be hard-pressed to miss signs of the city’s unique fusion of East and West—a complex multicultural vibe that makes it such a unique and easy-to-navigate travel destination. With a remarkable history that moves through Chinese immigration, colonization by the British and subsequent handover into a Special Administrative Region of China, it should come as no surprise that Hong Kong is such a melting pot of Eastern and Western characteristics. You’ll find examples of this in the city’s architecture, traditions, food and fashion. You can also take a walk around the Central and Western District to understand how this East-meets-West heritage has given the city a style that is just its own—that has to be seen to be understood. Everywhere you step in Hong Kong, you’d be hard-pressed to miss signs of the city’s unique fusion of East and West—a complex multicultural vibe that makes it such a unique and easy-to-navigate travel destination. Hong Kong’s Chinese and British make-up runs through its fabric: it’s in the very stone of its preserved buildings and the old-fashioned street signs, on the racks of local fashion designers and the tables of the best restaurateurs. From this cultural fusion—these leftovers from the past—emerges a new, modern Hong Kong. Statue Square in the middle of downtown Hong Kong is a fine symbol of the city’s architectural complexity. First named “Royal Square” when it was built in the late 19th century, it was later dubbed Statue Square due to the number of effigies here: Queen Victoria, Prince Albert and Edward VII were all honored in kind. The only statue still standing after World War II is that of Sir Thomas Jackson, a former HSBC chief. Bordering the square sits the Legislative Council Building: neo-classical in style, its designers—who had previously worked on the British monarchy’s Buckingham Palace—incorporated Far Eastern characteristics such as airy balconies and double-layered Chinese tiles on the roof. Its foundation is made from hundreds of Chinese fir tree trunks that were driven into the reclaimed ground. Another colonial remnant here is the oval-shaped Elizabeth II postbox: this red pill box is the last of its kind and you’ll notice that it’s now been painted green—a symbol of post-1997 Hong Kong.